A Buyer’s Guide to Understanding the Difference. It’s a commonly known fact that people take a huge loss when buying a brand new vehicle, but do you know by how much? Mileage: kilometres put onto the vehicle compared to the age of the vehicle. Cosmetic Condition: damage(s) to exterior bodywork and interior of vehicle. Previous Accidents: the cost of the “hit” associated with any previous accident(s). Maintenance/Service History: how often the vehicle was service and taken care of. Why is Buying “Pre-Owned” Better? 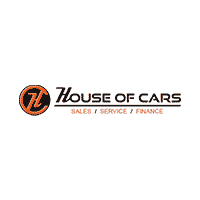 Because you can get practically brand new vehicles without the depreciation here at House Of Cars! In fact, we’re currently carrying a variety of 2016 makes and models with low mileage and for less than what most of the big franchise guys are selling them for! All of our vehicles come with CarProof and a full mechanical fitness inspection, as well. We also offer full warranty and have financing options readily available, catering to all car buyers; those with good credit and those with not-so-good credit. Our goal is to ensure all buyers leave with a vehicle they want at a price they can afford! Depending on the status of your credit, we might recommend jumping onboard our Credit Rebuilding Program to help build up credit in a timely matter so that you can get into the vehicle of your dreams… if it’s not already in reach! We’ll work out a plan tailored to your needs to keep payments as low as possible for you, based on what the banks will allow us to do. We’re not just here for the sale, we’re here to help you get back on track. Bottom line is: we want to help you reach your goals. We love it! We enjoy it! It’s what we’re here to do! Did we mention we carry everything from a Honda Civic to a Lamborghini? Not to mention, if we don’t have what you’re looking for in stock…we’ll find it for you! How great is that? We get it…buying a vehicle is a BIG decision! But if you don’t believe us, just do your research and see for yourself why buying pre-owned gets you into virtually the same vehicles – and saves you money. Find a full list of our inventory here!